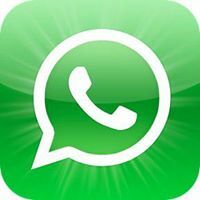 Connect to doctors on WhatsApp for quick medical advice. Disclaimer: Always contact your doctor before trying anything given below. This is for information only. All information sources are indicated. The best home treatment for cervical spondylitis is to do some exercise for strengthening the muscles of the neck. In case of acute pain, one can do hot fomentation and rest for some time till the pain settles down. Once the acute phase is over, one should walk and exercise regularly. Here it needs to be mentioned that forward bending exercises are to be avoided. All the exercises should involve backward bending of the neck or sideways movement. Care should be taken to avoid jerks of any kind. Regular use of cervical collar should be avoided as mentioned earlier. Other home remedies or regular use of over the counter painkillers should be avoided. Some precautions about one’s posture and long use of computers or mobile phones is necessary. sleep on firm mattress without pillow. I use for CS Rhus Tox 30c in the wet dose, easy. I requested her to take a capful from the bottle 3 times daily and in just 2 days she reported that the acute pain that she was suffering from for many months had reduced to a dull ache did not bother her. I then requested her to reduce her dosage to just twice daily and she called me a short while ago to report that she was completely free of any pain or stiffness in her neck and shoulder. The above medicines may be taken in 30th potency 3 times a day only if the symptoms correspond with the symptoms that the remedy is expected to cure. However, if there is no relief, consult a qualified homeopathic doctor. When the pain extends from the nape of the neck to the eyes or front of the head or forehead, Silicea is one of the best Homeopathic medicines for cervical spondylosis. It is also very good to cure the curvature of the spine. The patient is usually chilly and cannot tolerate cold. The pain feels better by warm fomentation or heat and is increased by lying down. I have had great success with Calcarea Phos in cases where there were some bony changes in the cervical spine. Often we see that there are some bony spurs that have formed in the vertebra. This can be quite painful and also cause vertigo if a nerve gets pressed. Calcarea Phos is one of the best Homeopathic medicines for Cervical Spondylosis in such cases. Dosage: 4---4----4 for a week, thereafter if problem persists continue the same dosage till you get relief. Let us see the combination of medicines in this tablet and how it will help to cure the problems. Calcarea phosphoricum: Will relieve pain in shoulder and shoulder blades, neck stiffness, neck pain, It is also a remedy for lower back pain and spondylosis. Homeopathy medicines have no side effects, they are safe and economical. You can use this powerful spondyl tablets for your acute and Chronic spondilitis problems. Myself and my family members have used this remedy on several occasions and got benefited. This medicine is manufactured by Bangalore Bio-Plasgens.